I had never even heard about Bulgaria until just two years ago. When I did, I assumed all of the negative stereo types of a Eastern Block, Former USSR country. Our first trip was Eastern Europe overland, and not only did we do it as an adventure, we also thought it would be fun as it's something usually unheard of. My buddy Sam and I met in Sofia, the capital, and took a series of trains, buses, and bla-bla cars to Burgas and Varna in the black sea and eventually up to Romania. It was actually a nice trip, but I honestly didn't think I'd ever come back, and I never thought in a million years that it would since then become a new hub for long term expats, online entrepreneurs and digital nomads. The main reasons why Bulgaria has sparked this interest is for the low flat tax for European residents and the fact that it's part of the EU as well as the fact that it's not part of the Schengen Zone which makes visas easy for Americans and other non-europeans. But it had to be the founders of Coworking Bansko that really popularized the county for digital nomads and made Bulgaria a destination. With easy visas, low taxes, super cheap costs of living, amazing food, sunny beaches, forested hiking, great skiing and super fast internet, Bulgaria might just become the Chiang Mai of Europe for the location independent. But with that comes the down sides as well as the difficult choice of choosing the convenient capital of Sofia, the ski village of Bansko, the beaches on the Sea Side or the old town of Plovdiv. In this post i'm going to break down all of the pros and cons, tell you where to go, where to live, and explore the costs of living. This is my ultimate digital nomad's guide to Bulgaria for Entrepreneurs and Long Term Travelers. One of the best things about getting to Bulgaria is that it's pretty much the hub to Eastern Europe and the non-schengen zone countries. If you're like me and enjoy spending the entire summer in Europe but can't because you're not an EU resident, normally our options are to either risk huge fines or even jail time by overstaying, or going home after 90 days. For those unfamiliar with the Schengen rule basically most non-EU residents get 90 days visa-free every 180 days. That technically means we get 6 months in Europe every year which normally would be great, expect that most of us don't want to come in the winter, which means we really just get May, June, July but then have to go somewhere else for August and September. That's where Bulgaria comes in. Since it's still in Europe but not yet (and hopefully never) part of the Schengen, we can technically bounce back and forth between Western Europe and Bulgaria and stay year round legally. We can also visit Bulgaria for 1-2 months in the middle of our trip and still be able to stay in Europe. The other huge benefit is that there are cheap direct flights from Greece, Germany, UK, Spain, Italy, Portugal, Budapest, and Scandinavia which makes it easy to get around Europe on countries like Wizz Air or Ryan Air for less than $80. It also makes it easy travel to and from the USA since you can fly direct from LAX or NYC to one of those airports, then take a cheap local flight to or from Sofia. If you're coming from Italy, Belgium, or London, you can even fly directly to Plovdiv and bypass Sofia all together. For me I came from Athens in Greece after the Nomad Cruise and took a direct flight for about $100 including luggage on Aegean Airlines which was fantastic. From here I am taking another direct flight to Odessa, Ukraine for only $60 including luggage with Bulgarian Air. Getting around Bulgaria is another story. It's super cheap, but not always that straight forward or quick. I'll talk about it in the next sections as well as the places you'll want to check out. You'll defientely go through Sofia at least a few times during your trip as it's by far the most popular airport in the country and the only real way to get in and out internationally for most people aside from driving. On one hand, I really want to love Sofia as it would be the perfect Digital Nomad hotspot in Europe. It's everything I wish Bangkok was with it's central hub, but the size of Chiang Mai with mountains close by, a central walking street, great food, low costs of living and lots of nature. As a tourist, you'll have find Sofia super boring after you've walked the main street a few times, or if you've read this article and taken notes, you'll be surprised how many fun, cheap or free things there are to do there. I've been to Sofia twice now, once two years ago with my buddy Sam at the start of our Eastern European Trip by Land, then again last month when I arrived from Athens. I actually wrote a blog post during my last trip which I titled "The Digital Nomads Guide to Sofia, Bulgaria" which you can read for more detail. 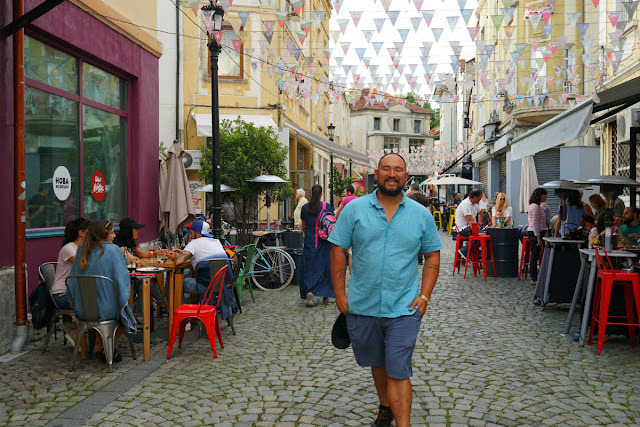 The update to that post would be Sofia is the city that I really want to love Sofia as a digital nomad hot spot or as a home base in Europe, it just doesn't have the cozy, comfortable feeling that'll make you want to live there. Most people live in Sofia because that's where the jobs are. As digital nomads, we have the freedom to live and work wherever we choose. So even though Sofia technically has nature close by and looks a bit like a small city with a nice walking street, it still feels like a big cold city where people don't really want to be there. Even though it's still relatively cheap to live in, places like Plovdiv, Bansko or the sea cost of Varna, although less convenient are still the better choices to call your new home, or at least your home base. You can still get to Sofia from either Plovdiv or Bansko within 2-3 hours by car or bus so it's not that big of a deal if you're flying out less than once a month. 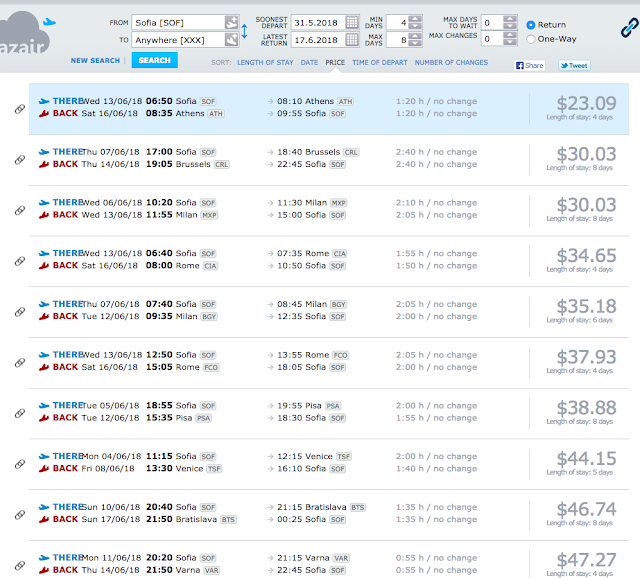 Speaking of which, one of my favorite things about being based here is how cheap the flights are to other countries within Europe. For less than $60 round trip I can go to Greece, Germany, Cyprus, Budapest, Switzerland Holland, Italy, or Belgium for the few days making it an amazing travel hub! This is the little town that could. Inspired by a entrepreneurs with some cash and a dream, Coworking Bansko put this town on the map for digital nomads. Honestly if it wasn't for them, I never would have even considered living in Bulgaria and defientely not the tiny town of Bansko. They could have easily chosen the coast in Varna, Burgas or Sunny Beach to open a coworking space instead, but they wanted something different. They found Bansko, a cheap ski village a 2-3 hour drive south of the capital and built a community around it. During winters there are snow sports including skiing and snowboarding, and during the summer you can hike or mountain bike. But really, Bansko is a place to relax, put your head down and get work done. There isn't much happening here during the summer and if anything between the winter and summer season 90% of the town is shut leaving just a handful of restaurants and supermarkets still open for locals. I arrived during this transition period at the start of May and if it wasn't for the coworking space, there would be nothing here. Thankfully, Coworking Bansko has created a Nomad Hotspot of it's own. With anywhere between 10-40 members here at any given time, it becomes it's own little community. We have lunch together, play board games, watch movies, and go on weekend trips. Without the coworking space there's no reason to come here aside to ski or maybe for a weekend hike, but the hype is real. Multiple people have come here and bought apartments within the first week of arriving and joining the coworking space. The coworking space is perfect and the best space I've been to anywhere in the world and I've been to and reviewed tons of coworking spaces. The internet is fast, the free coffee is good, and the ergonomics including tables, lighting and chairs are perfect for working. Unlike other "top rated" coworking spaces in the world Coworking Bansko doesn't have a swimming pool or a designer hotel lobby like the top spaces in Bali, or Berlin, but it's actually functional! It's what a coworking space should be and it does it perfectly. The only potential downside I see is that like other small towns with just one main coworking space where all of the activities happen in or around, if you're not a current paid member or for whatever reason aren't a part of the space, you'll be left out. The good news is that at €99 Euro a month, it's a very reasonable price especially since it includes high quality free coffee and so many outside activities. As for wifi and internet speeds coworking Bansko has 71 down /26 mpbs upload from my last test. Plus they have a backup wifi connection, and you can get 10gbs of 4G here in Bulgaria for around $10 which is amazing. That all means that internet is actually stable enough to do video calls, upload 4K videos to youtube, and stream HD movies at home. Below is a photo of the main work space, known as the quiet space at coworking bansko, along with a group outing we did to go white water rafting. One of my favorite things about Bansko is how amazing the food is here. Fruits and vegetables come fresh from the market with leaves still attached and aren't prepackaged in plastic and styrofoam. People still make their own butter, yogurt and cheese and most food is eaten fresh and not prepackaged. There's a farmer's market every Sunday in the main square, just a block from the coworking space that sells a ton of fresh food direct from the farm for super cheap. During the summer both strawberries and cherries can be half for around €1.50 a kilo which is 2.2lbs! I've went to the market with $10 and bought so much fresh fruit and vegetables I could hardly carry it back home myself and half to fill up a backpack and another bag. Also since it's Europe, instead of going to Costco once a week to buy a cart full of food to last the entire week, it's not uncommon to walk past the grocery store on the walk home to buy two carrots for 20 cents and a $1 chicken thigh to roast for dinner. It's been a nice change of pace and has allowed me to buy exactly what I plan on cooking just for that night so food doesn't go to waste. As for restaurants, even though Bansko and Plovdiv are technically a tourist towns where restaurants are more expensive, most places are still super affordable for what you get. A nice dinner out will cost you around $15 including a drink or a even a beer most of the time. Some of the best Kebabs you've ever had are $3 in Plovdiv or Sofia and lunch will actually be a lot less as most places have specials from Monday - Friday. Here in Bansko we usually go walk 5 minutes to the closest restaurant and spend 4.80 lev for lunch which is $2.86! Okay I lied as I often end up ordering two dishes or a salad with, but in total even my massive lunches are much cheaper than anywhere else in the world for the same quality of food. Sure you can get Thai food in Chiang Mai for $1.50 but when it comes to western food, salads, meat and potatoes, you'll usually spend much more wherever you are, even in Thailand. To sum it up, if you like western food, meat, berries, beer, or alcohol, it's actually much cheaper in Bulgaria than it is in Chiang Mai. If you miss Asian food like I do, make sure you go back to Thailand for at least a few months a year as you won't get it in Bansko, and even in the capital it won't be what you expect. 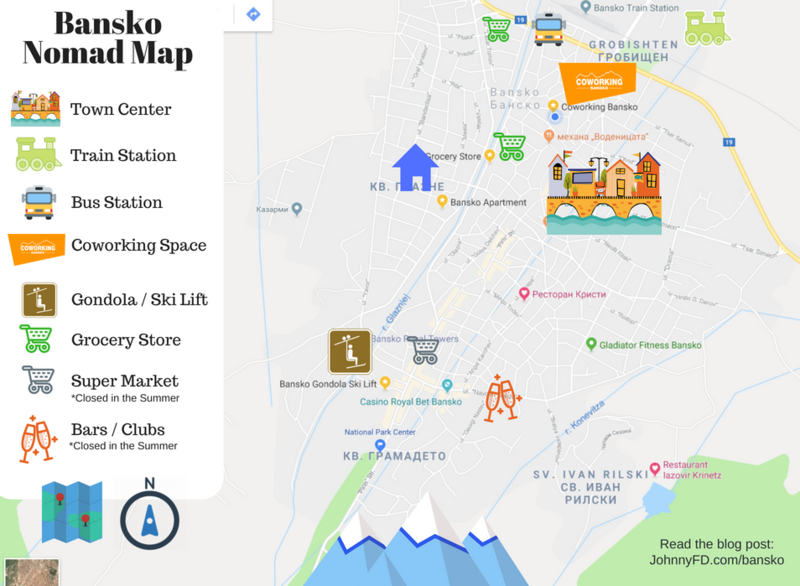 It's funny that the first thing us location independent digital nomads do when coming to or hearing about Bansko is immediately thinking about buying a place. It seems a bit silly and counter productive, but I think the reason we do it is because it's just do damn affordable and down right cheap that we figure why not? Also a lot of us who have been traveling full time for years crave having some type of home base where we can just keep our stuff and have a place to go back to. But before you get too excited, there are pros and cons to it. When you first hear that you can buy an apartment for as low as €7,500 Euros, you think wow, that's amazing, lets get one just to have. I even had two friends tell me lets buy an apartment sight unseen and I honestly thought there was at least a 50% chance I'd be buying a place during my 1 month trip here. It turns out that the pricing is actually somewhat accurate as there really are tons of places you can buy for less than $10,000. However, there are a lot of downsides. First off, the $10,000 apartments are basically defunct hotel rooms that are being sold off as condos now which means they're tiny studio apartments in old, not well maintained buildings. The places you'll actually want to live will cost $20,000-$40,000 which still seems like a good deal and might be for someone who actually wants to live in Bansko year round, but as an investment, it's probably a terrible idea. The reason why property is so cheap in Bansko is because they overbuilt back in 2007 and never recovered from the financial crash. While places in Sofia, Plovdiv, and the coasts are normal prices, I don't know Bansko will ever recover as there are literally thousands of empty units and a hundred completely unmaintained or unfinished buildings. 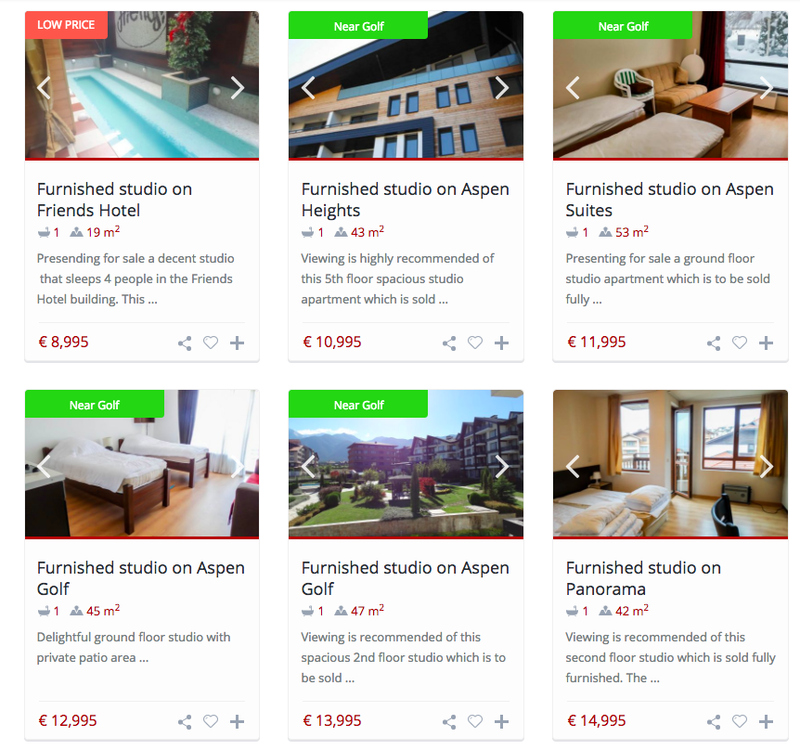 But just for fun take a look at property prices in Bansko. Rent for a studio usually goes for as low as $150 a month and for a super nice, 2 bed/2 bath like the one I'm in it's $320 a month including utilities or $250 a month long term. Prices are up to 50% higher during peak snow season. I recomend staying for 3 months to get the best deal and at minimum 1 month or it's not worth coming. If you're staying for 3 months or longer, I'd advise staying at a hotel for 2 nights and finding a place here in person. If you need to look online, check in the public coworking bansko facebook group and do a search for deals which is how I found my place. The best place to live during the summer is near the coworking space or center of the old town. I live on the other side of the river which is a 13 minute walk to the coworking space but since there's a grocery store half way I don't mind it so much. The best place to stay would be in the town center but as long as you plan ahead and don't go home more than once a day it's actually a nice walk. While during the winter you'll probably want to live close to the gondola as that's where both the ski lift is as well as the bars clubs, restaurants and happenings are. But during the summer 99% of the places around the gondola area and towards the mountain are closed. One of the nice things about being based in Bansko is the ease of going to bigger cities whenever you get bored and want to escape. Not only do you have the capital of Sofia and all of the international destinations that brings you, but the old city of Plovdiv is also just a bus ride away. Euvie Ivanova says Plovdiv is the Chiang Mai of Europe. It's a 3.5 hour bus ride away which is really cheap at only around $6 and it's decently comfortable. You can also take a narrow gauge train from Bansko to Plovdiv which I did on the way there. It's the same price, takes close to 6 hours and has zero amenities. But it was super comfortable, took you through the mountains, and is a nice place if you want to bring your own lunch aboard, watch some movies on your laptop and look out the window. I wouldn't do it again as the bus is so much quicker but it was a fun option for my first trip there. Here's a good blog post with bus and train info for Bansko to Plovdiv. Even though the bus is super cheap and relatively easy, I'd seriously consider renting a car the next time I land in Sofia as you can get one for around $300 a month and it'll give you a lot more flexibility for weekend trips around Bansko and to get to places like Plovdiv. As for the city of Plovdiv itself, the nice thing is that it's bigger but has a great soul. The best are to stay around is Kapana (The Trap) which is just at the end of the main center's walking street. I found great places on Airbnb (here'a $40 Airbnb coupon for new accounts) that were modern, comfortable and very reasonably priced at between $25-$40 a night. I also stayed at the Funky Monkey Hostel when I first arrived mainly to meet people, but wouldn't recomend staying there for more than a night as it's not very comfortable. The best coffee shop I worked from was Orpheus Cafe followed by Coffee&Gallery Cu29. I didn't check out any of the coworking spaces in Plovdiv as none of them had free day passes aside from the one that was a 30 minute walk outside of town. But if I was there longer I'd check out Biz Lab as it seems like the best option. Aside from cafes, the best things to do in Plovdiv is to go on the multiple walking tours including both the Free Walking Tour and the Free Plovdiv Hills Tour. If you want to know why they call the area "The Trap" and learn some history about the place, I'd highly recomend taking one or both of the tours, they're free just slip them a 10 Lev note at the end as a thank you. 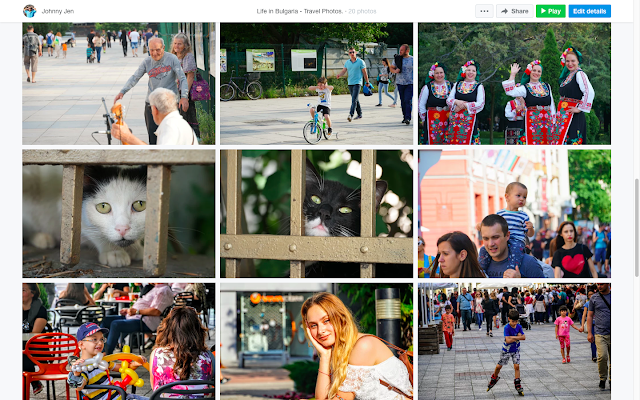 Take a look at all of the photos I took in Plovdiv here. Aside from everything I mentioned above, my favorite thing about living in Bulgaria is the fact that it combines the culture of Western Europe while keeping a lot of the traditions of the East. It's a Slavic country with with Eastern European influences. They love grilling meat, having big meals, cooking at home, spending time with family and have a lot of traditions that have been a bit lost in the west. Little things like having pull up bars in all city parks is something you see all over Bulgaria and Eastern Europe are things that I miss whenever I'm back in the USA or Chiang Mai. People here still go for walks for dates, respect elders, chop wood, and do other things that seem lost in the west. It's a bit hard to explain unless you come here, but it feels more genuine. Bulgaria feels like the type of place that existed before people got soft and entitled. Old grandma's at the market love starting conversations with you, and little kids ride their bike around with ultimate freedom. There's almost no crime here with the exception of political corruption. But day to day there are zero pick pockets and no one hassling you on the street, even in the capital city of Sofia. It's funny that Eastern Europe has the reputation of being dangerous when in fact you're much more likely to get robbed in Barcelona or Vietnam or scammed in Bali than you are in Bulgaria. Here is a video tour I made during my time in Bansko showing you what day to day life looks like including a morning hike, a tour of my apartment and of the coworking space. I really like it here and can see it becoming a place I go to every year for a few months as a home base. It's perfect that it's not in the Schengen zone of Europe which means hanging out here for 2-3 months allows me to have a full 90 days in Western Europe as well extending my summer trips to Europe to up to six months instead of the usual rushed three. You could even technically stay in Europe year round by going back and forward between the two zones, but since I really love winters in Asia, I'll still be spending November - February in Chiang Mai, Thailand where I love as much or even more. I will however consider coming here in March to catch the end of the Ski season here and to get an early start on summer in Europe by renting a long term apartment and taking shorter trips from Bansko as a home base. A sample itinerary for the year could be Nov-Feb in Chiang Mai to enjoy Thailand and the Nomad Summit, flying over to Europe in March in Bansko to Ski, then heading down to Greece in April to enjoy some sun and beaches before it gets busy. Giving you all of May-August the best summer month to spend traveling around Europe while using Bansko as a home base. I've always dreamed of having a home base in Europe and one in Thailand and I really think Bansko could be it. My buddy Sam and I talked about it in episode 94 of the podcast and it's a dream come true. Having the location freedom to spend the best months of the year in both places really is a dream come true. Winters in Asia are incredible as it never gets too hot, while summers in Europe are extremely beautiful. I honestly wish it made more financial sense to buy an apartment in Bansko as they are so cheap, but with rent being so low and there being so many options, it just doesn't. Plus we often forget, part of the reason why we have so much freedom is because nothing is tying us down. Having an apartment means having stuff, responsibilities and maintenance. Getting rid of those things is part of the magic of being a digital nomad even though I sometimes miss having a place to keep our things. When it comes down to it, if you live in Australia, Europe or somewhere else with high taxes and need a permanent residency, then at 10% flat rate it's awesome. 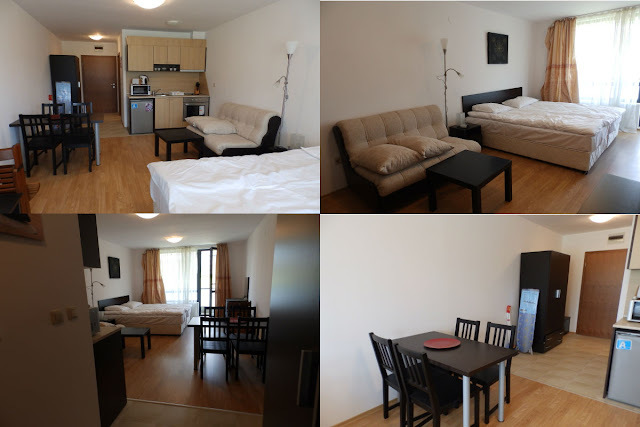 If you plan on living in Bulgaria for at least six months of the year then go for it and go apartment shopping but for most of us lets keep our money and our location independence. Who knows what will happen in the upcoming years. If Bulgaria joins the Schengen zone which they might do in the next couple of years, chances are, a lot of people like myself will no longer have a reason to come here. *Links are courtesy of Coworking Bansko's excellent member on boarding emails. I would highly recomend joining the space if you come. Feel free to ask questions or leave comments here. Great article and video Johnny! Good to know about different options that are more under the radar. Happy to share Antoine, this town of 8,562 people is defientely under the radar! Sweet find Johnny! Definitely considering using Bankso as a home base now. Hey Gary, defientely check it out, you might like it. Thanks for the invite. It's on my list of places to go. But maybe next year! I havne't used them but worth checking out. Hi, Johnny, me and my husband were wondering where to go for holiday and even as aaplace to live in the future. After seeing your wonderful "tasty" post it became obvious: Bulgaria!!! Thanks a lot!!! Nice stuff Nara! Happy to help! Let me know how you and your husband like it! Internet Speed Update: I just tried it again today and got 99mbs Upload AND 98mbs Download! I checked it after uploading a huge youtube video that would normally take 20 minutes anywhere else and having it upload almost instantly. Thanks for sharing, I was just considering to check Bulgaria! I'm not a big fan of winter sport or cold weather so I wasn't considering winter periods. Reading your article seems like in Summer is not the best period to go there, bars closed and not so many people. Is it like that? So the best period for me would be spring? Hey Lorenzo, I actually hate the cold but i'm willing to try it out once as I've never been skiing or snowboarding before. =) As for Summer, it depends on the month. Right now early May/June it's dead, super quiet. But I've heard in July/August things are open again. But Bansko is a winter town. You'll be bored here if you expect a big going out scene outside of winter. Plovdiv or Sofia might be okay for going out though during summer. Hey Johnny! Do you mind sharing the name of the apartment building where you rented in Bansko or the landlord's contact, if you recommend it? Will be there in July and looking for a place to rent for a month. Saw your video tour and it looked nice! Thanks! Over the winter the food in Bansko is actually quite terrible. It is hard to find any fresh fruit/vegetable and if you do you will be a high price for it. I am glad to hear this is different in summer, but in winter this place really exist mostly of (drunk) tourists who eat pizza and fast food. I did not find any fresh, local food. Burning season in CM starts mid-February. I've stayed mid Jan - Feb a few times recently. Take your fleece jacket! Cost of living comparison Chiang Mai v Bansko. Note the information is only as accurate as the info people have entered.